Our small privately owned centre embraces the local community and we pride ourselves in providing a caring, nurturing and stimulating environment for each child. We offer high quality care with our qualified staff, several of whom have been with us for many years. Our philosophy is based on the belief that parents and staff work together to provide the best foundation for the growth and wellbeing of each child. Our emphasis is on developing partnerships and strong affiliations with families and the greater community. Children are always seen as individuals, encouraged to respect each other’s individuality through positive guidance and development of self worth, and treated equally. 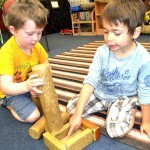 They are encouraged to exert independence and given choice and variety. Waitlisting your child at Warringah Mall Child Care Centre is easy. You can waitlist once you know you're pregnant if you want. There's always something happening at Warringah Mall Child Care. Click here to see our calendar of events. 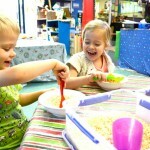 Check out the gallery to see what happens here at Warringah Mall Child Care Centre. 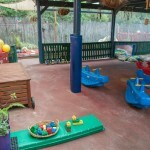 Our centre is full of creativity, learning and play areas. Quick and easy way to find out the most important information.